We will March 108 miles from TANC's community center in Richmond, California to Oakland, San Jose, and end at the Chinese Consulate in San Francisco. Let's show Tibetans in Tibet we are listening to them. CHICAGO, IL – In solidarity with Tibetans suffering under brutal human rights abuses in China-occupied Tibet, Rangzen: The International Tibet Independence Movement will lead a 108-mile "March for Tibet's Independence" from March 23 – 30 in San Francisco, California. Tibetans and Tibet supporters from around the U.S. will join the march—Circle the Bay for Tibet—to protest the repressive conditions that have led Tibetans to set themselves on fire to demand basic freedoms and the return of the Dalai Lama, Tibet’s exiled leader. Time Magazine has described the spate of self-immolations in Tibet over the last few years as one of the most underreported stories of 2011, and the burnings have only continued to intensify. Self-immolation is a horrific form of protest that Americans first saw on television during the Vietnam War, and which touched off Tunisia's democratic uprising and the wider ‘Arab Spring.’ Its emergence in Tibet illustrates the despair of many Tibetans at their plight under Chinese occupation, now in its seventh decade. Chinese authorities have responded to the self-immolations in Tibet by sealing off much of Tibet to outside visitors and further militarizing the area, exacerbating the conditions that are driving the devastating wave of self-immolations. On December 5, 2012, Beijing's new leadership under Xi Jinping reinforced its hardline position on Tibet by announcing that anyone caught aiding or inciting self-immolations will be charged with murder. Nearly 100 Tibetans have set themselves on fire in Tibet since 2009 in protest of China’s continued occupation and to demand the return of the Dalai Lama from exile. The most recent immolation was a teenage boy in Tibet on January 24, 2013. 4. Because the Dalai Lama, Tibet’s political and spiritual leader, is still living in exile. "We are walking in solidarity with our fellow Tibetans inside Tibet because the situation is very serious," said Ngawang Norbu, Rangzen board member. "Nearly 100 people have self-immolated. Their last wishes were for the freedom of the Tibetan people and return of His Holiness the Dalai Lama. We want to bring their message to the international community. The rising death toll in Tibet demands a new approach from world governments and concerned citizens. We want Tibetans inside Tibet to know that world is listening." Rangzen was co-founded in 1995 by Taktser Rinpoche (His Holiness The Dalai Lama's oldest brother) and Professor Larry Gerstein to obtain Tibet's independence through non-violent methods. There are over 10,000 supporters of this organization worldwide (www.rangzen.org). 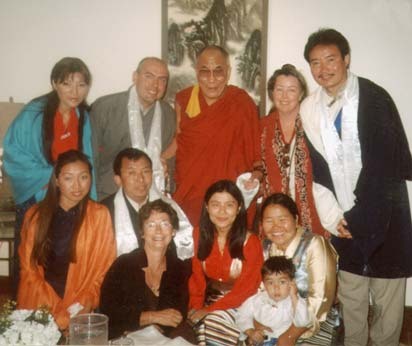 Bay Area Friends of Tibet is the US West Coast's original Tibet Support Group, founded in 1983 by Tibetans and Friends of Tibet, including Tenzing Sonam, son of Lhamo Tsering, Chief of Operations of the Mustang Tibetan Resistance Force. BAFoT works as a Bridge between Tibetans and non-Tibetans and in cooperation with local, state, national, and international Tibet groups to educate the public about Tibet. BAFoT celebrates Tibetan culture. 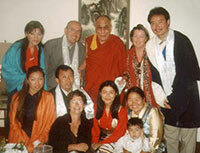 See www.friends-of-tibet.org for more information about us and our Special Projects.